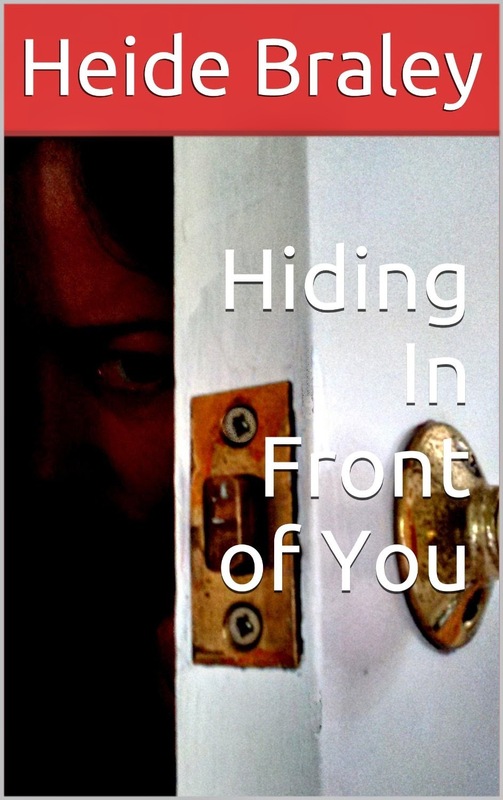 So here is another one of my stories, Hiding in Front of You. It is published and available on Amazon. It took me too long to finish it, but I think it is a fun read. I sat motionless in the back of the closet, curled up and hugging my knees as tightly as I could. My ears were filled with the blood rushing from my frantically beating heart; I strained to hear anything while I forced myself to breathe more slowly. My breathing almost stopped. His voice crackled with irritation. “I don’t know. Did you look in the refrigerator?” she called back. I heard the front door slam shut and then the sound of his sports car starting up. I’m not sure which I hated more, their fighting or my hiding in the closet. My leg was cramping up so I straightened it out, confident that Maria would not hear my simple movement. Her bedroom was at the other end of the hallway and her bathroom was still farther through a small hallway beyond that. My cell phone showed that it was seven-thirty in the morning and that meant that Maria only had a couple more minutes before her departure at seven-forty if she followed yesterday’s schedule. I looked around the mostly dark closet and was grateful for my little hideaway. Since Eric’s death last year, my world had slowly disintegrated. My job as a newspaper writer was not nearly enough to cover the mortgage and with the recession, no one was interested in buying our house. I let it go and didn’t care that maybe I could have done something to save our investment. Nothing mattered. My life as I knew it was over and I did not want anyone to bother me in my sorrow. I played the game well, convincing my mother that I was fine and living with a friend, but I wasn’t. My boss had cut my assignments down to one or two a week as the newspaper found its readership dwindling to a fraction of what they needed to survive. The clank of a pot and the slam of the cupboard door signaled that Maria was in the kitchen. As she left, the force of her pulling the front door shut shook the walls throughout the house.